On Saturday in Waukesha, Wisconsin, two 12-year-old girls allegedly stabbed their friend 19 times in the woods after a slumber party. Their 12-year-old victim, a friend from middle school, narrowly survived, an artery near her heart missed by a millimeter. Morgan Geyser and Anissa Weier are, so far, being charged as adults with attempted first-degree murder, punishable by up to 60 years in prison, with bail set at $500,000 each. 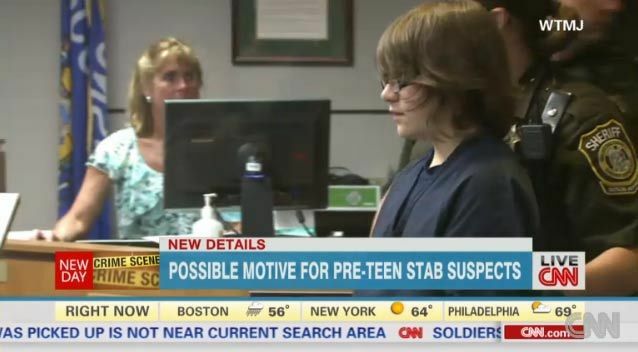 The stabbing, they told police, was in the name of the Slender Man, an internet meme. Geyser was the first “seeker,” and Weier and the victim hid. Weier told the victim where to hide and told her to lie facedown in the dirt. The girl refused. Weier then pushed the victim and sat on her, thinking Geyser could stab her. But the victim began to yell and complain that she couldn’t breathe. She was attracting attention, so Weier got off her. Geyser gave Weier the knife, but Weier said she told Geyser she was too squeamish and gave it back. The victim is now reportedly in stable condition. 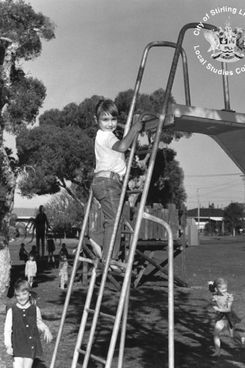 Slender Man (a.k.a Slenderman) is a mythical creature often depicted as a tall, thin figure wearing a black suit and a blank face. According to the legend, he can stretch or shorten his arms at will and has tentacle-like appendages protruding from his back. The character spread through illustrations on sites like DeviantArt, popped up in various web series, and was even the subject of a film project that railed more than $11,000 on Kickstarter last year. 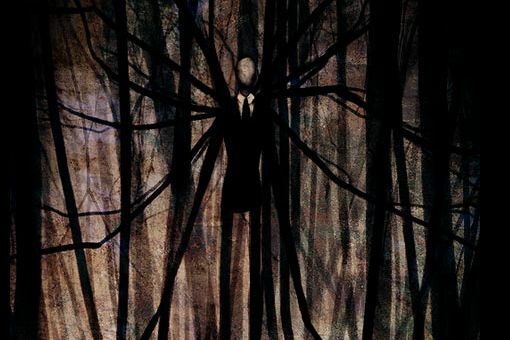 Much of the fascination with Slender Man is rooted in the overall aura of mystery that he is wrapped in. Despite the fact that it is rumored he kills children almost exclusively, it is difficult to say whether or not his only objective is slaughter. Often times it is either reported or recorded that he can be found in sections of woods, and these generally tend to be suburban. He also has been reported seen with large groups of children, as many photographs portray. It is commonly thought that he resides in woods and forests and preys on children. He seems unconcerned with being exposed in the daylight or captured in photos. After school on Friday, Weier told police, she and Geyser went to Weier’s house, where she packed a backpack with clothes, granola bars, water bottles and a picture of her mother, father and siblings. She didn’t want to forget what her family looked like after leaving for Slender’s mansion. 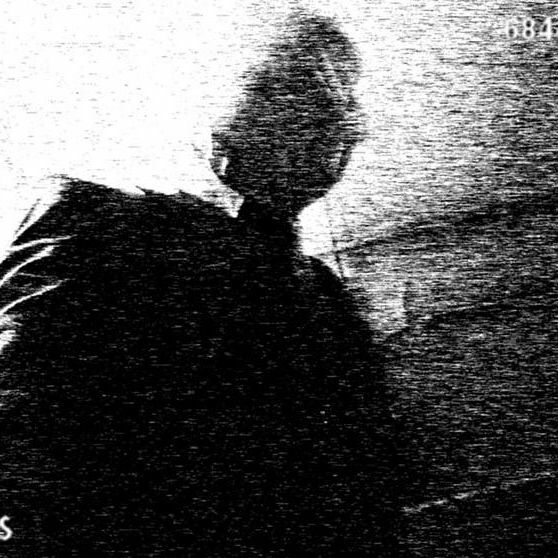 Geyser reportedly told police that Slender Man watches over her, reads her mind, and can teleport. She said she’d never met him. 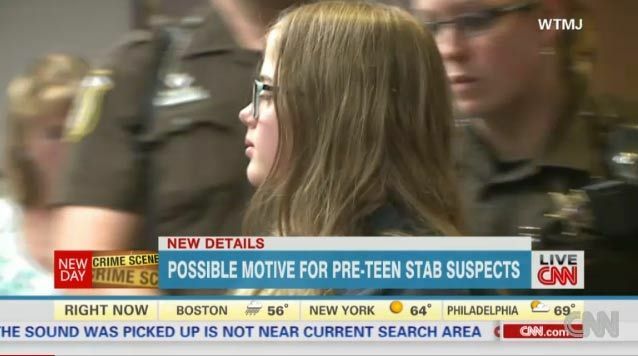 The lurid details of the would-be killing — especially with young girls at the center, an extreme rarity — make the story the perfect grist for a panic that plays on both cable news (think CNN’s Nancy Grace–fueled coverage of the Jodi Arias and Casey Anthony trials) and online. Early attempts by attorneys for the accused to have reporters removed from the room as they fight to have proceedings moved to juvenile court have been rejected and the resulting images are hard to look away from. Something like this was bound to happen, considering the size of the Creepypasta community. All it takes is one person to do something insane and radical in the name of someone or something. What Do We Know About Girls Who Kill?